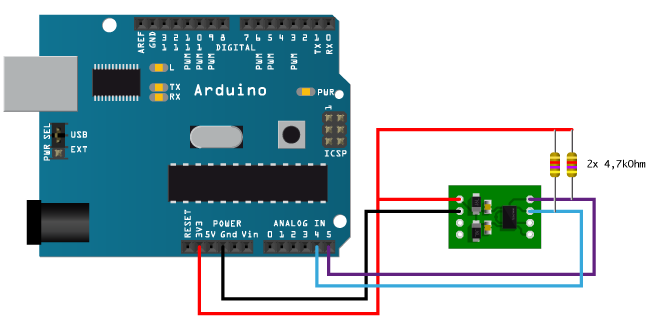 "AVR Atmega MMA7455 accelerometer application." MMA7455 3-Axis Accelerometer Module Documentation. MMA7455 3-Axis Accelerometer Spin Demo Code. MMA7455 3-Axis Accelerometer BASIC Stamp Demo Code. 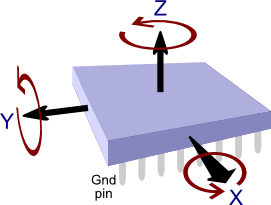 MMA7455 3-Axis Accelerometer Device Documentation. Understanding and Processing Accelerometer Measurements in 2/3D space. The Freescale Semiconductor MMA7455L 3-Axis Digital Output Accelerometer is a low power, micro machined sensor capable of measuring acceleration along its X, Y, and Z axes. It offers several convenient integrated features including an analog to digital converter (ADC), digital low-pass filter, and selectable sensitivity ranges of ±2g, ±4g, or ±8g. This device can be easily configured to detect quick motion pulses as single taps, double taps, and 0g (free fall) conditions on any or all axes and provides configurable interrupt pins (INT1 and INT2) for each type of event. Flexibility and compatibility are designed into this module. 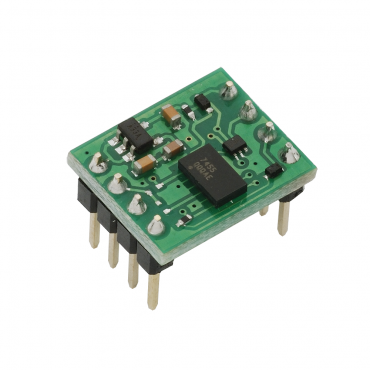 An on-board voltage regulator and I/O voltage level-shifters make this module especially easy to connect to virtually any microcontroller. It operates over a wide range of supply voltages from 2.5 VDC to 5.5 VDC and communicates via Serial Peripheral Interface (SPI) or Inter-Integrated Circuit (I2C) bus. Works with 3.3 and 5 volt devices. I2C and SPI interfaces for compatibility with virtually any microcontroller. On-board voltage regulators and I/O level shifters for compatibility with 3.3 and 5 volt systems. Low current consumption for long life in battery powered applications. Motion sensing and data logging. User-settable registers for calibrating each axis. Voltage Requirements: 2.5V to 5.5 VDC. Current Range: 26μA typ. in standby mode; <3 mA full operation while transmitting data. Communication: SPI (8 MHz max) or I2C protocols. Dimensions: 0.50 x 0.60 x 0.46 in (12.74 x 15.24 x 11.68 mm). Operating Temperature Range: -40° F to +185° F (-40° C to +85° C).